So, I know I said that Snow White would be our first discussion on the Disney Movie Bucket List challenge. But, with the advent of the box office smash live-action remake of Beauty and the Beast, I’m going to skip ahead and then we’ll talk about Snow White next week. Like many others, Beauty and the Beast is my absolute favorite of all Disney movies. I saw the live-action movie on Saturday and re-watched the cartoon on Sunday. I’ve also had the soundtrack on repeat ever since. So, fair warning here, I have A LOT to say about this one. Instead of one super long post, I’m going to split it up. Beauty and the Beast is based on a revision to Gabrielle-Suzanne Barbot de Villeneuve’s 1740 novel by Jeanne-Marie Leprince de Beaumont. Both were heavily influenced by Cinderella’s writer, Charles Perrault, though the story was originally based on a common French fairy tale which was itself an adaptation of the Greek myth of Cupid and Psyche. Disney named Belle’s village Villeneuve after the original author, though their story is much closer to deBeaumont’s revision. As just one example, the Beast in Villeneuve’s version is quite unintelligent–more animal than man. In Disney’s version, the Beast retains his human intelligence and mind but is physically transformed into the Beast. 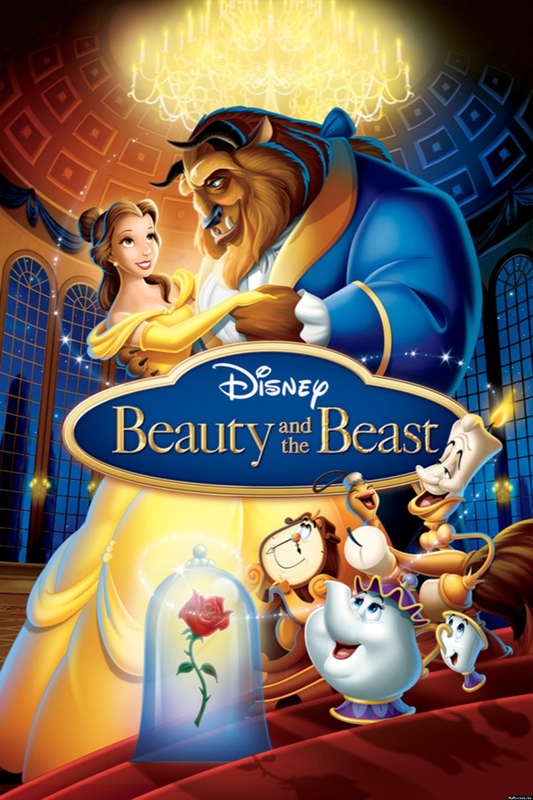 The original Beauty and the Beast (cartoon) came out in 1991. It’s considered the apex of the so-called Disney Renaissance of the late 80s and 90s and possibly the greatest of all the animated films. Certainly, Belle is one of the most popular princesses, if not the most popular (Only maybe Elsa from Frozen could equal Belle). It is my personal favorite too, and I’m not alone in that. What makes this story so (nearly) universally adored? Belle is a misfit. We’re told, explicitly in her introduction, that she’s odd, strange, different. She’s the bookworm princess. And immediately became the avatar for all the girl bookworms out there. She’s also brunette and common-born–a striking change from all the princesses before her (Snow White, Aurora from Sleeping Beauty, and Ariel from the Little Mermaid are born princesses. Cinderella is born of the gentry but made to act as a servant, like Snow White.) Unlike Snow White, Cinderella, and Aurora, Belle is not waiting around to be rescued by the prince someday. Belle’s big “I Want” song says she wants adventure in the great wide somewhere. And, of course, in the manner of all fairy tales, she gets what she wishes for, in spades. In addition to being a fairy tale, this is, by far, the strongest romance Disney gives us. So, for me as a romance writer, why does this particular romance work so well? Here’s what I think. In the way of many, many romances, both Belle AND the Beast arc (change) from active dislike to respect to friendship and finally, in the end, to love. She actually says this in the lyrics of Something There: “He was mean, coarse, unrefined but now he’s dear and so unsure.” It’s the classic case of false impressions. At first, he was nasty and mean but now, because she’s getting to know him, she sees him differently. As they’ve become friends, she’s gotten to know him—she sees the real man behind the mask of the beast. Significantly, he ALSO knows her—her favorite book, her childhood (in a gorgeous, touching scene in the live-action), giving her the library. This is a key factor in romance. The lovers see the real person behind the social mask—or, as the tagline says it, “Beauty lies within.” In the end, after Beast transforms into the prince, Belle knows him by his eyes—the window to the soul. She sees the person within and recognizes him. This is also why, in the famous dance sequence, they have such strong eye-contact (it’s the copulatory gaze in action). They SEE each other, past their outward appearances to the person within. Powerful stuff. In contrast, we have Gaston who mocks Belle’s reading in their first meeting. He prepares their wedding as a fait accompli and proposes by presenting his vision of her as broodmare and housemate–fates that Snow White, Cinderella, and Aurora actively wanted. Gaston also doesn’t appear to know Belle’s backstory at all. What Gaston knows is that Belle is beautiful. She’s ornamental to him. He sees her lovely exterior but is clueless about the person within. She’s one more trophy for him to hang on the wall. Can you imagine any scenario where Gaston would have given Belle even one book, not to mention an entire library? Gaston is the actual ideal male, in this society at least. His song tells us so—he’s perfect, a pure paragon. The Bimbettes in town squee over him. He’s a war hero, in the live action, a great hunter, tall, dark, handsome. And just the slightest bit mirror obsessed. He’s also vain (a huge no-no, as we know from Snow White) and sees Belle as a way to augment that vanity. He says in the song Belle, she’s the most beautiful girl in the village so therefore she’s the best, and so I’m going to marry her because don’t I deserve the best? There’s also an argument to be made that, before the curse, Prince Adam (yes, that’s the Beast’s real name) was also an example of the ideal male in this society. He’s princely, rich, handsome, well-educated, as well as spoiled, careless, selfish, and cold. It’s not hard to imagine that pre-curse Prince Adam making a similar argument about Belle that Gaston does in the beginning—she’s beautiful (on the outside) and therefore mine. No need to look any further. He wouldn’t say it by the end though, and that’s how you know he’s changed. But, by enduring the curse and falling in love with Belle, the Beast transforms. He learns to love and be loved in return (the actual curse). He changes. Gaston doesn’t. That’s why the Beast gets to be the hero! How about the two greatest objections to the story–Stockholm Syndrome and Abusive Relationships? More on that coming up as well as my full review of the movie. 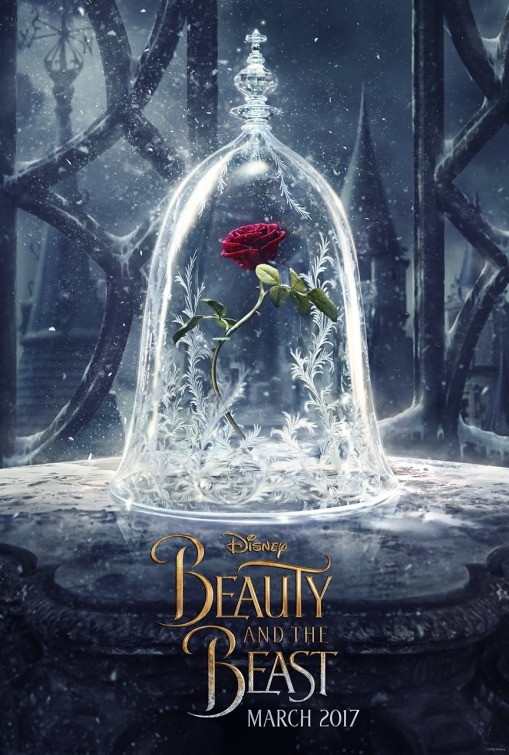 Next Post Disney Challenge: Beauty and the Beast (2/4): Is It Stockholm Syndrome?